Feline Hyperthyroidism is the most common of thyoid problems in cats and is fatal if left untreated! With Thyro-Cat, feline hyperthyroidism treatment for your cat's hyperthyroid condition is just a shot away. 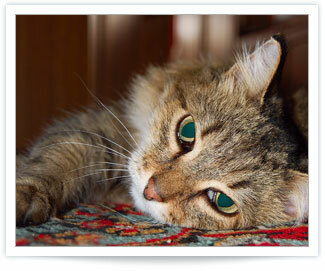 Read more information about feline hyperthyroidism, thyroid problems in cats, and treatment.